“We have studied the contents of this hoax, and are obliged to disappoint its overseas authors and their few sympathizers in Russia, who have joined forces to publish their ‘revelations’ about the Defense Ministry,” spokesman General Igor Konashenkov said in a statement cited by Russian news agencies. “Their scoop bears no relation to reality,” he added. The list of units – variously referred to by the authors as having been “moved to the conflict area” and “stationed on the southeastern border with Ukraine” – was published Tuesday afternoon by a blog belonging to a low-profile Russian veterans’ organization, Forgotten Regiment. The group is headed by human rights activist Elena Vasilieva, who recently claimed that bodies of dead Russian soldiers have been coming back en masse from eastern Ukraine. The enlisted regiments number up to 15,000 troops, according to the blog’s authors, who say that more divisions are stationed near the northeastern border between the two countries. 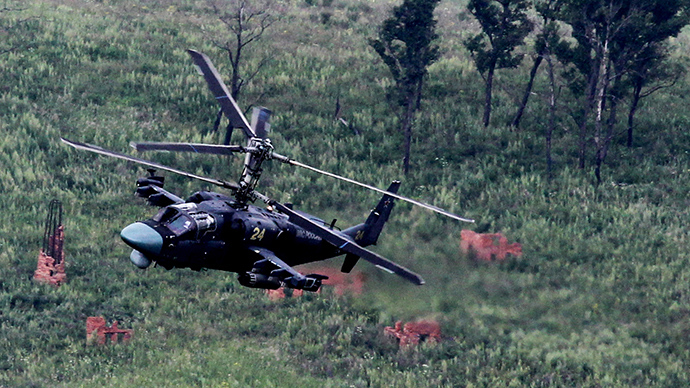 The ministry said that the units listed – which include infantry, artillery, paratrooper and reconnaissance regiments – are indeed “combat ready,” but insisted that they were undergoing routine training on practice ranges around the country, in accordance with a military plan approved in December 2013. 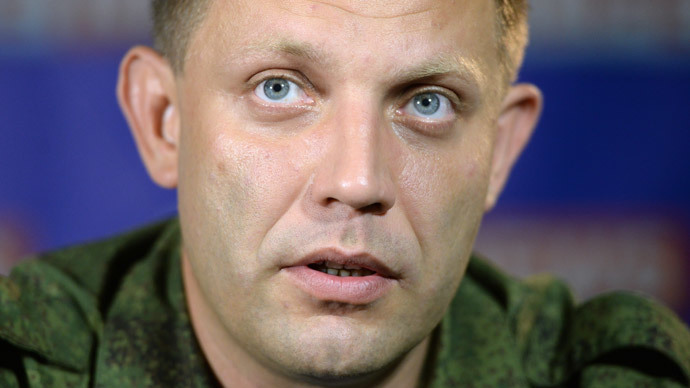 Russia has rejected the accusation, and Aleksandr Zakharchenko, prime minister of the self-proclaimed Donetsk People's Republic, claimed that only Russian volunteers are involved in the struggle against Kiev. 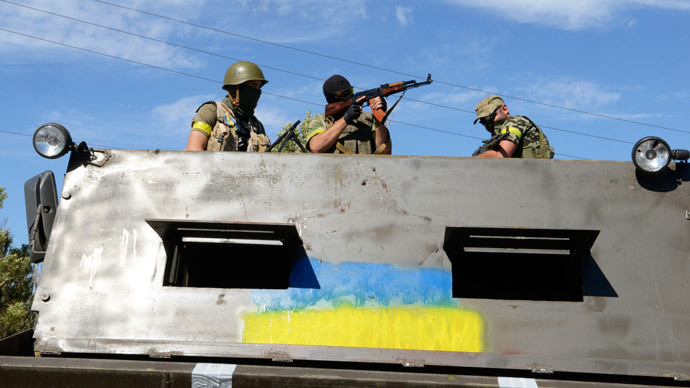 The rebels’ fortunes also received a boost in the Donetsk region, where they encircled the transport hub of Ilovaysk. 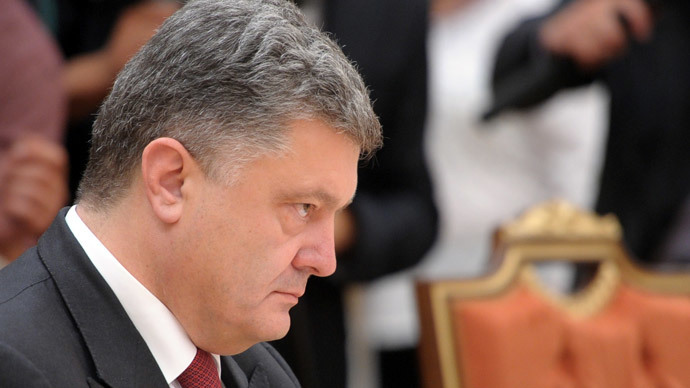 On Thursday, Poroshenko blamed desertions of commanding personnel as the reason for the military setback.